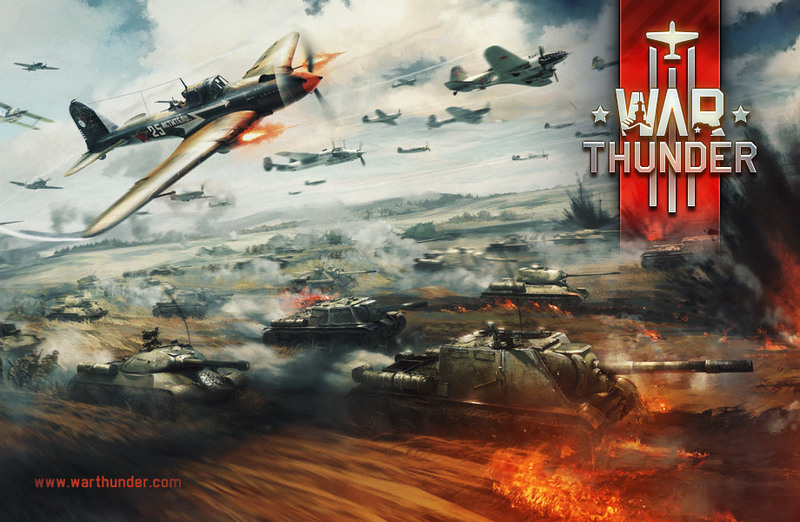 War Thunder is a free-to-play MMOG, which has been developed by Gaijin Entertainment. The warplanesimulator exists since 2009, War Thunder also added a tanksimulator in 2014 and is probably going to launch a warshipsimulator in 2017, what can become quite interesting if they are going to connect these three, like they did with the tanks and planes in the past. But first of all, for all the newbies, a short summary about the game and how it has gone so far. The game takes place in the air warfare and ground control of the second world war. Thats all about the story. Of course, there are some missions, interpreted by some air battles between 1939-1945 but the point of view is definetly fixed on the multiplayer. The maps are modeled by real historique battlesites, like the models of planes and tanks aswell. 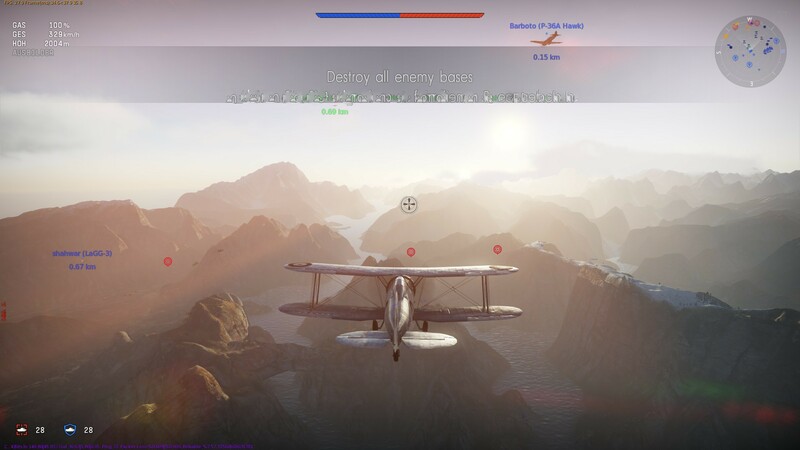 They have the same specifications like in WW2 and all in all, it presents a quite realistic flightsimulator, but also especially exciting and everytime different fights. Bomber BV 238 trying to shake off his followers. I am playing the game since three years right now and I experienced a lot of Updates. The way, the game develop is awesome. You start the game and get the chance to choose between five nations where you can fight and level with (Russia, Japan, USA, Germany or UK). Next thing to do: jump in any arcade mode and fly. Anyway, the controls are easy and you will get used to it pretty fast. The good thing is, that you will not fight against overpowered enemies, cause the fights are balanced, that low-level-players are playing vs. other low levels and pros ws. pros. That makes it easier to level up and you will not get upset that fast. Would be interesting to try a head-to-head with a biplane against a jetplane, but well, Gaijin choose the realistic and for the player more comfortable way. After you have reached some XPs and silver lions (ingame money), you are able to upgrade your planes individually, like with a new motor for a more effective chase, cooling systems, so you get no problems with overheating oil or you invest in bigger machine guns, to terrify your enemies. All done? Start the next battle, because there are hundreds of planes to explore and it is a long way to go. 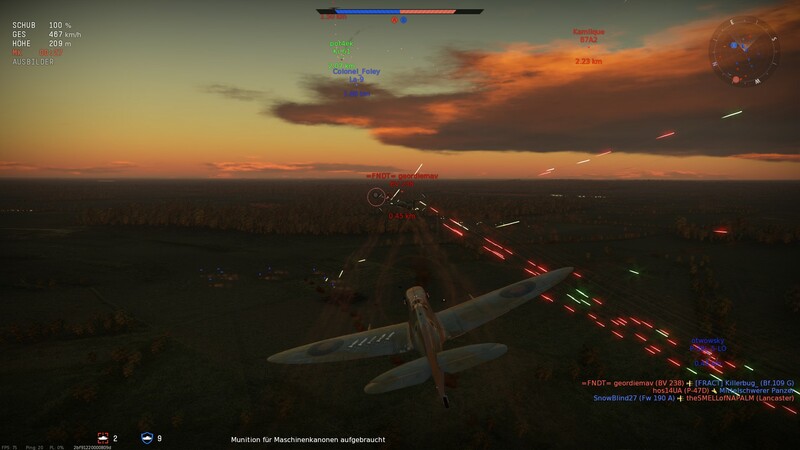 It takes nearly three hours of playing, until you get a new plane explored, so War Thunder keeps you busy for a while. Furthermore next to the planes, you also can select tankbattles, which are seperated to big airbattles, so it is just tank vs. tank. This mode can make feeling you glorious and in the next second aggressive, because (I am not sure, if it was just me but…) you will often experience a total knock out by a single shot. 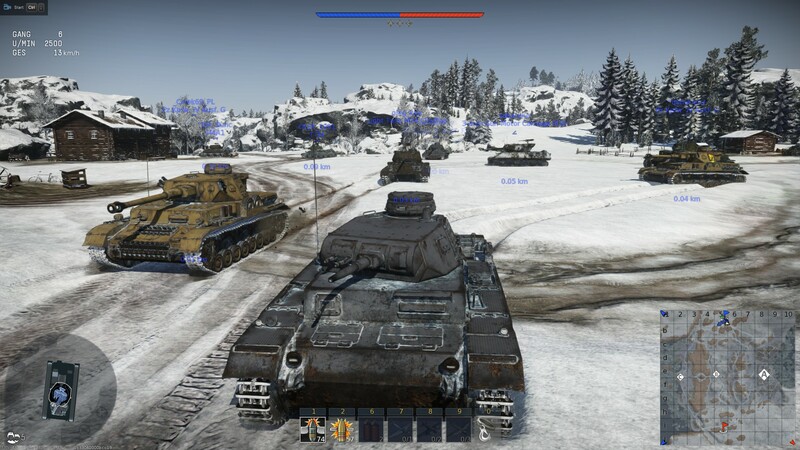 While I was playing and trying to bring my tank in a good position, I had to face to these lucky shots a lot of times. 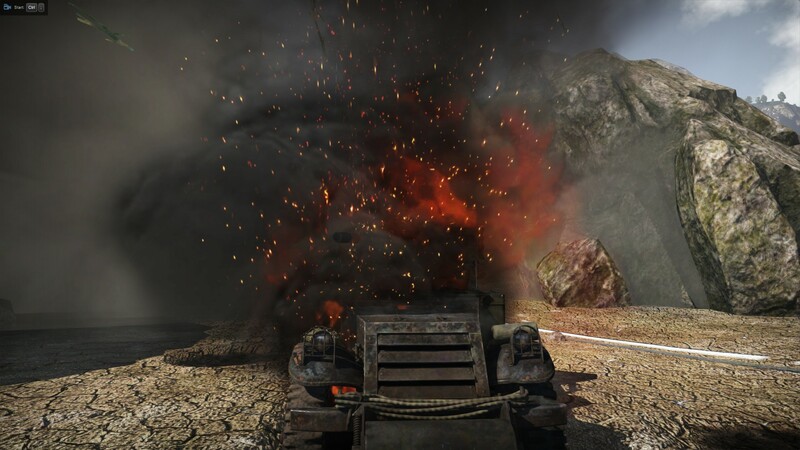 It was that moment, when you thought, you found your position with a good view to enemy front lines and the next second you just see your tank burning and exploding, with no idea, where the shot came from. Well, you will know it, after the short kill-cam-clip, what is a very amazing gadget by the way. Nevertheles, it happens to often, that you have to leave the game, cause you are out of tanks. Bit depressing… It also can happen the other way around and that will be awesome, if YOU make these luckshots, but the probability is not that high. Indeed, the whole design convinces myself to go on, even if there is this luckshot thing. It is about to try hard and with some more experience, I am pretty sure, it is possible to get a feeling for this kind of fight, so you win. All in all, I think this mode has a lot of potential and only the driving itsalef makes fun. That is just my opinion, it is on you, to try it. How I said, Gaijin is already planning their next big Upgrade with a battleship-simulator. Since autumn 2016, players can buy the beta for testing and helping the developers to fix bugs and programming, so let us talk about what we know up to now. Gaijin announced, that there will not be big battleships and aircraft carrier, but small and fast torpedoships and little destroyers, to keep the battles fast and intensive. We will see, what we get. What connects the both simulators, are the battlemodes like conquer (up to three different points), destroying flak, artillery, convoys and bases or holding the air superiority. All that in different surroundings and missions. For me just a perfect composition. However, let us come to the question, why it is definitly worth to play. You can choose…is it the cinematic graphic, the different maps and battle modes or the powerful realistic simulators. All these things in connection with the fast action, bring the most impressive free-to-play game, I have played so far.